We currently have no rainfall data available for Lithonia, GA.
Raymond, owner of Wall 2 Wall Lawncare, mows lawns all over Lithonia, GA. He has a 4.5/5 rating. In addition to lawn mowing, Wall 2 Wall Lawncare can provide quotes for debris pickup, basic tree care, and more. Ocd International, owned and operated by Opio Douglas, is a reputable lawn care business in Lithonia, GA. In addition to lawn care, he does fertilizer application, bush trimming, and more. Jett Services - led by owner Rondall Oliver - has offered service to residents of Lithonia, GA for over 11 years. If you need a customer-centric and communicative lawn care business, look no further. Thanks Vincent for taking care of my lawn today. The grass looks great! And thanks for taking the time to explain what you did with the side of my house that was difficult. It looks wonderful as well. You took great care of my lawn, answered my questions, and put my mind at easy. Thanks again! Great job team! My lawn looks amazing. Nice job Edward! Thank you for attention to detail and making extra efforts! I appreciate the service that Stoy provides. He is quite dependable and my lawn looks great. Very friendly and does a great job. The yard looks good but the person that was doing the blowing didn't blow the debris of of the street. He blew it in the sewer and it looks bad. The house from the side of the corner looks bad. The gate was left wide open and we prefer it to be closed after the lawn is cut. Always a good lawn yard man just don't always get a notice of when they are coming or the time sometimes I miss seeing him. he's very attentive spends quality time in doing his service third cut thus far. The yard looked great. There were a few frilly plants here and there, but considering the size of the yard, and it being the first time they had seen it, we were very pleased. We look forward to a fruitful business relationship with them. Came home to find the lawn mowed, trimmed, and blowed just as advertised! Looked great and one less thing I had to worry about. Stoy exceeded my expectations. He arrived early and went right to work edging, mowing and cleaning up. I went out to meet him and to thank him for the service. He was super friendly and eager to please. When I pointed out a few things for the next time when he retutned, he took care of it right then before leaving. I am very pleased with the service. Edging was done correct and clean up was great. This was a different crew then last time but want them as my regular!! LawnStarter pros will let you know what your lawn needs. 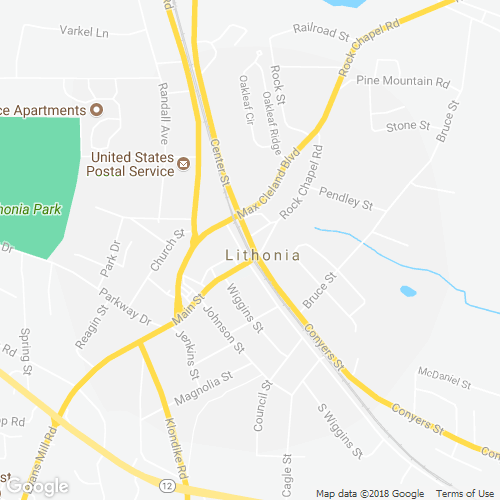 Here are some recent recommendations for extra lawn services in Lithonia, GA. Description: Front yard Client request Bush trimming of front hedges. Will trim and shape. Description: Full yard Clean out the beds in the front and backyard, trim up the trees in the both the front and backyard along with mulching in the front and backyard. See my instagram @safelandscapingdesigns for before and after examples of my work. Description: Full yard Long grass mow, edging, clean up grass and bag. Description: Full yard Trimm and design bushes in front and back yard. Items Needing Service: Gutters, frontward, porch area, backyard and driveway area.Areas have leaves and twigs. Location on Property: Front of the house, back of the house and the south side of the house. Work to be Done: I would like all debri picked up so that I can have the lawn mowed. Items Needing Service: One-time pre-mowing leaf and debris cleanup. Work to be Done: Leaf and branch cleanup of entire yard before spring lawn mowing begins in April.